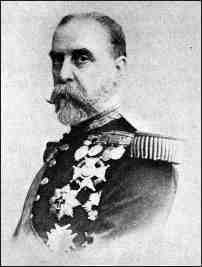 Usually credited with negotiating the Spanish "victory" over the mambises in the Ten-Year War (1868-78), Campos resigned his post as Captain General of Cuba after the rebel invasion of the western provinces in January 1896. He was replaced by General Valeriano Weyler y Nicolau. 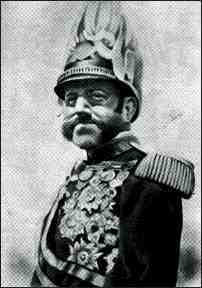 Also known as "the butcher," Weyler took over as Captain General of Cuba when General Campos resigned in early 1896. The Cuban war of independence was not going well for Spain, the rebels had just invaded Havana, and Antonio Maceo had made his way clear to Mantua, the westernmost point on the island. Upon arriving in Havana on February 11 1896, Weyler's first priority was the death of Maceo. Unable to control the population's support for the rebel forces, he instituted a policy of "re-concentration" in which Cubans were forced to move away from the country into fortified "towns." This would prevent the rebels from receiving aide from the peasants.